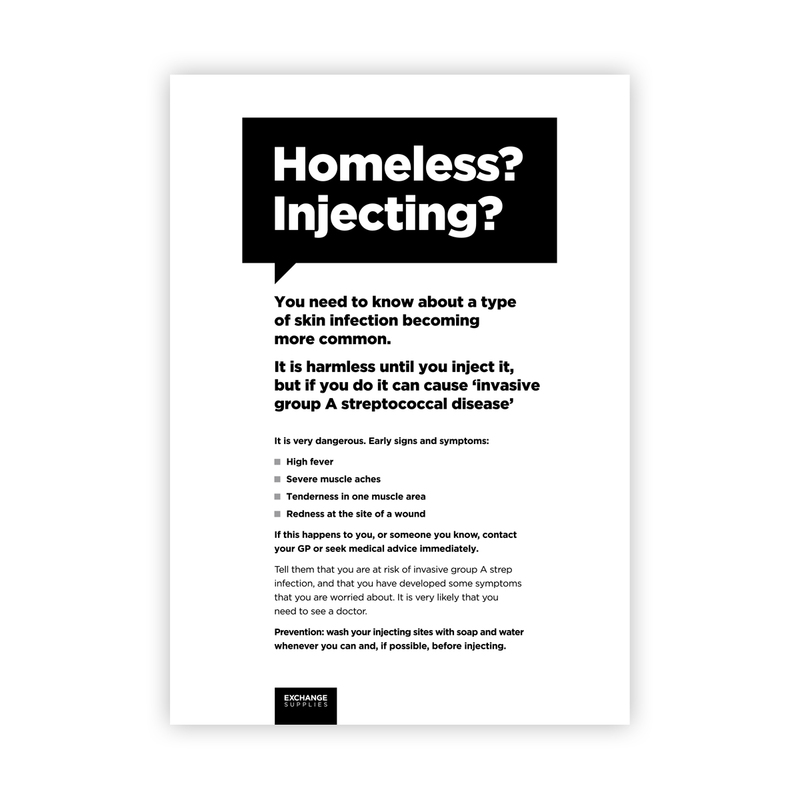 In November 2016 Public Health England released a warning about an increase in invasive Group A Streptococcal (iGAS) infections amongst intravenous drug users and homeless people. Clusters of infection have been noted in several parts of the country including Bristol, Gloucestershire, Brighton and London. In particular, they reported an increase in a rare strain called emm66: between Jan 2016 and November 2016 there were 15 cases of iGAS emm66 recorded in the UK. At the request of DHI in Bath we produced this poster for them to put up to advise their clients of the risk, and we have now posted it here so everyone with clients affected can download and print a copy. We don't have hard copies of this poster, it is copyright free, and has been designed in black and white to make it easy to print off. To view and download the poster, click on 'read online' below.